Uh oh, we did it... AGAIN! Saturday 7th October '17 we continued to dare to be defiant by hosting The Linkup Pt.2 at Snozone, Milton Keynes and SOLD OUT! Sponsored by East London Printers; check them out for garment printing and embroidery. 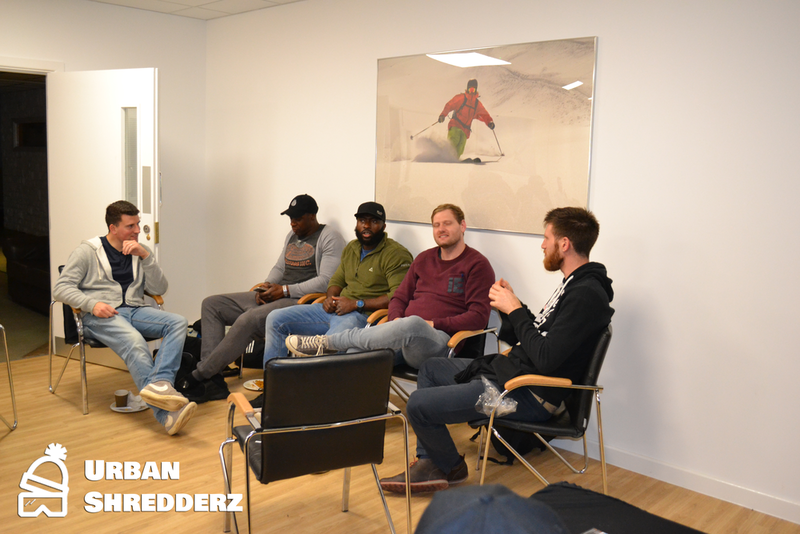 A massive thank you all those who have supported Urban Shredderz to-date and contributed to making The Linkup Part 2 bigger and better.. we had more people, longer slopes, longer session times and free nibbles aka mini-fest (which was not made by my wonderful grandparents, this time). A special shout out to Shmeika and Sheree-Anne for their help on the day; their donation of times was hugely appreciated. Shmeika was responsible for making sure everything was setup correctly, advertising banners were visible, participants knew where to go and the layout of the private room. Sheree-Anne was the artist woman behind the camera taking the excellent photos below. 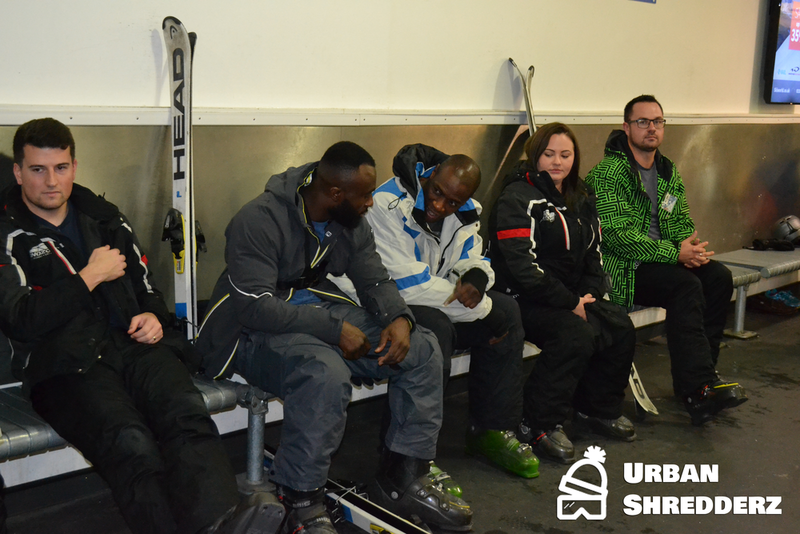 We had several familar faces; so shout out to Craig, KJ, Lloyd, Jermaine and Idris who have continued to support The Linkup and have caught snow sports bug. Additionally, Craig has travelled from Birmingham on both occasions. Also, we had a giveaway of an Urban Shredderz snapback and tee; to reward a person with no previous skiing or snowboarding experience willing to be defiant. Therefore, it was a toss-up between a skier and a snowboarder; and the lucky winner was (drumroll please)... Tom (a skier)! Lastly, we look forward to welcoming more people willing to be defiant at our next event. The Linkup will be returning to the indoors snow-covered slopes of Milton Keynes on Saturday 3rd February 2018. 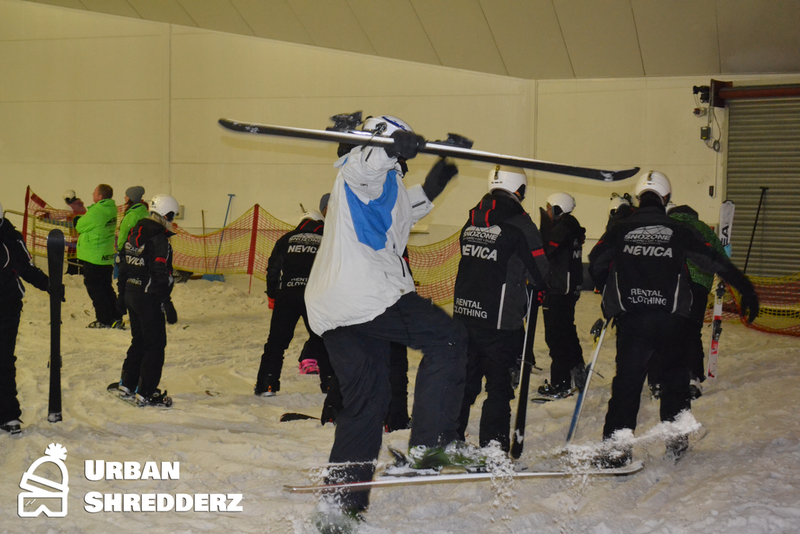 However, if anyone wants to join an Urban Shredderz: Meetup Session please get in contact via info@urbanshredderz.co.